What would you do if you spotted your own home for sale on Rightmove? If you own, or are in the process of buying a home, you could potentially become a victim of property title fraud. Here’s some advice on how to avoid it. 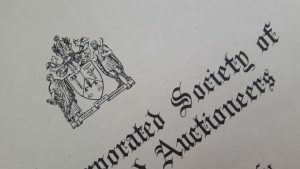 Purchasing property at auction can be a risky business but it is also a really good way of securing a competitive property investment. 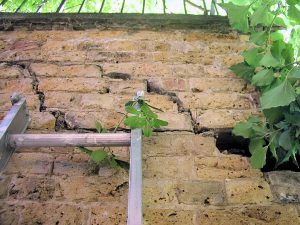 Garden and boundary walls should be inspected regularly to see if repairs are necessary, or whether a wall needs to be rebuilt. Such walls are amongst the most common forms of masonry to suffer collapse, and one of the commonest causes of death by falling masonry. See how one rental company matches landlords with prospective tenants. 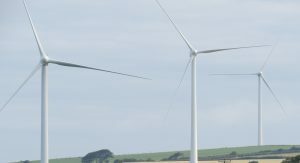 The “Fishermen Three” wind farm that will fund the building of new homes. ‘Coloured’ people, single mothers, battered wives and plumbers … what do they all have in common? An estimated forty per cent of new homes built by several of the UK’s big builders are sold on leasehold tenure. The failure of some estate agents and solicitors to bring potentially ruinous ground rents to the attention of purchasers has been widely criticised, but Nationwide Building Society has made a surprise move to protect its members. Government statistics show that most fuel poor households are in privately rented accommodation and in the 16-24 age bracket. Older people are now much less likely to be fuel poor. Employment is also a significant factor, with 28 per cent of unemployed households being fuel poor. The Government is continuing to support its District Heating Network scheme but the Lambeth system has been fraught with issues. Are the days of Titus Salt returning? The Swedish retailer, Ikea, is so concerned that its Icelandic staff are unable to afford property in the capital, Reykjavik, that is is building an apartment block so that they have somewhere safe and affordable to live.